A care home in Sutton Coldfield bring together residents, parents and little ones for special afternoons of baby massage and storytelling. 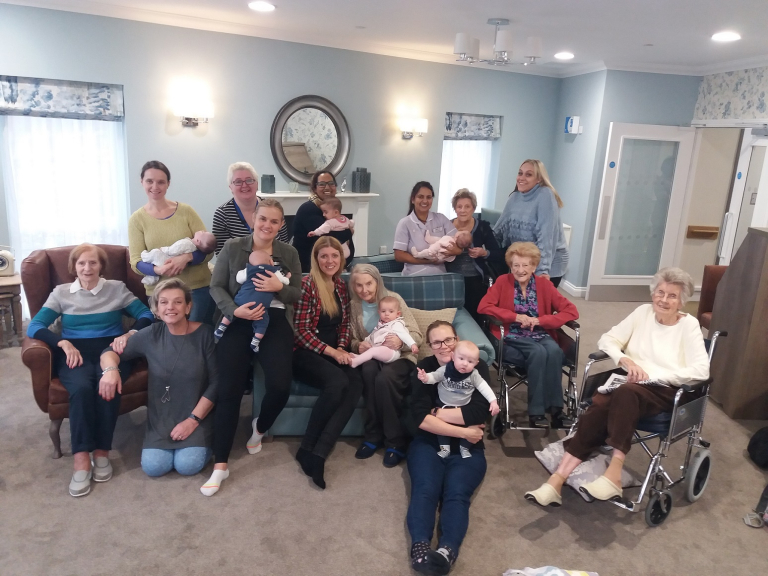 Care UK’s Mercia Grange welcomed a group of new mums to the home on Lichfield Road for the session, during which they used ten simple massage strokes on their babies to help tell them stories, and residents also joined in and spend time getting to know the infants. Home manager at Mercia Grange, Shirley Gibbs, said: “At Mercia Grange we love to build upon our relationships with the local community, and are always looking for new ways of bringing everyone together. “Meaningful activity is an important part of the care we provide at Mercia Grange, and story massage is extra special as it includes three generations, and is a lovely way for residents to spend time with mums and their babies.